Work-to-weekend styling will prove effortless with this pretty top by Marina Rinaldi. 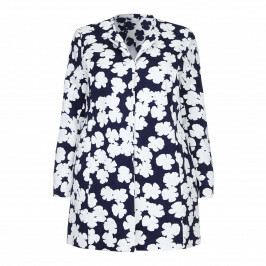 Printed with abstract florals and cut with a flattering round neck, it will pair perfectly with tailored trousers and heels. 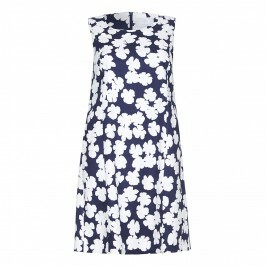 Scoop neck, navy and white abstract floral print, short sleeve, silky jersey t-shirt. 95% Viscose, 5% Elastane. Delicate Machine Wash or Tumble Dry.